The single judge pulled up the Ministry of Home Affairs for troubling and harassing the Dubai-based couple and slapped a cost of Rs 20,000 on it. 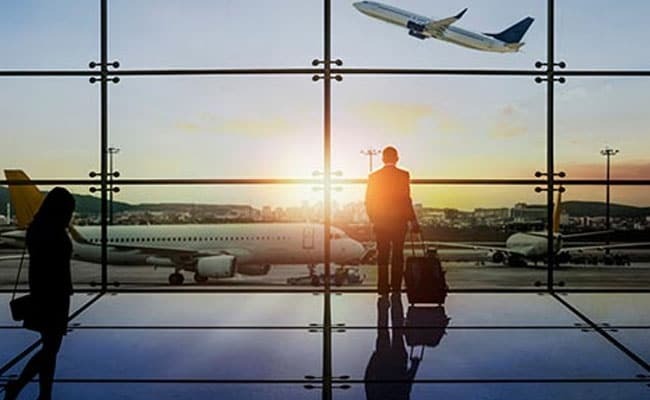 New Delhi: Mistaken identity often leads to confusing situations, but for an NRI couple, it led them being detained thrice at two airports in the country as they were namesakes of another couple against whom look out circulars or LoCs were issued on orders of the Delhi High Court. Thankfully for them, the High Court whose orders led to the LoCs also came to their aid when they knocked its doors. It directed the Ministry of Home Affairs or MHA, to ensure that the NRI couple from Dubai, was not detained again unless specific directions to the effect are issued by the competent authority. The single judge also pulled up the MHA for troubling and harassing the Dubai-based couple and slapped a cost of Rs 20,000 on it. Trying to escape from paying the cost, the ministry moved an application before the judge, Justice Rajiv Shakdher, to waive the amount claiming it had rectified the LoC records without any delay. However, the judge refused to grant the relief. Unwilling to give up the amount that easily, the ministry filed an appeal before a division bench of the high court which dismissed the plea today. Disapproving of the ministry's act of prolonging the litigation and trying to escape from paying the cost, a bench of Justices S Ravindra Bhat and AK Chawla asked how much it has spent on the appeal. Observing that the authorities "behave so arrogantly" because they are not held accountable, the bench told the ministry to get its act right. The ministry contended that nothing was lacking on its part and the only reason the couple was detained was because of the similarity in names. It also denied the couple's allegation that the husband was also detained when he travelled separately. The bench, however, refused to accept the MHA's arguments, saying "one thing is lacking. You did not scrutinise the passport." "If the State is not willing to pay the cost of Rs 20,000, we will then ask uncomfortable questions. Tell us how much have you spent on this appeal? This is why our authorities behave so arrogantly, because they are not held accountable." the court said. According to the couple's plea moved before the single judge, while the LoC was issued in July 2016, they were first detained on November 19, 2017 at the Indira Gandhi International Airport in New Delhi. Though the confusion over mistaken identity was resolved after a few hours, they had sent a legal notice to the ministry which had not replied to it, their petition filed through advocate Deepkaran Dalal claimed. Thereafter, they were detained twice more, once again at the IGI Airport and another time at the Rajiv Gandhi International Airport, Hyderabad. Taking note of this, the single judge in his order had said it was incumbent upon the ministry and the immigration bureau to verify the identity of persons against whom LoCs are issued. "In this, the respondents ought to have collected all the identity documents of the accused before taking out the LoCs. Most times, photographs may suffice. In some cases such as in the case of identical twins, birthmarks etc. may have to be noted. "As to how the identity of persons qua whom LoCs are issued is to be established is best left to respondents but certainly cannot be based solely on name as was callously done in this case, not once but three times," the judge had said while imposing the cost.